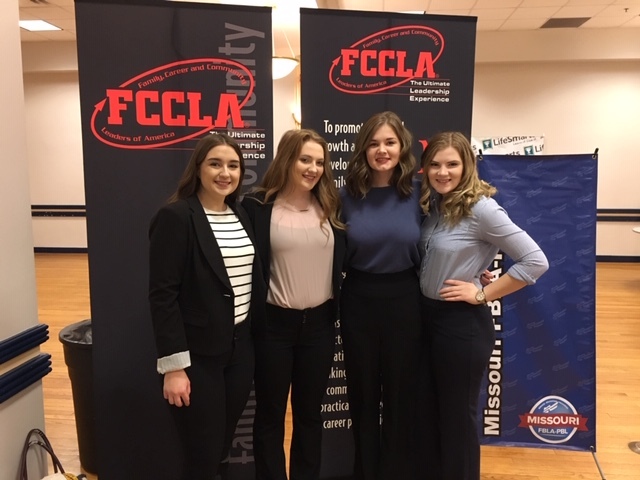 After online competitions with students from around the state, Caitlyn Alcorn, Taylor Freeze, Elizabeth Gronski, and Lexi Jordan comprise one of the 12 highest scoring teams advancing to the Missouri LifeSmarts Championship in Jefferson City on Wednesday. 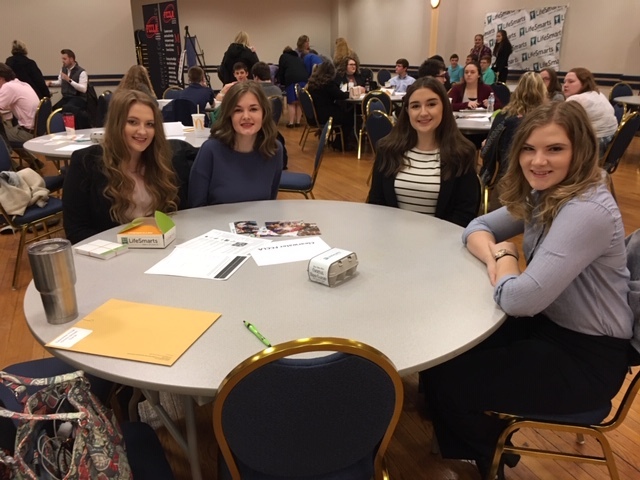 Sponsored by FCCLA and FBLA, students are tested on their consumer and martketplace knowledge on topics such as consumer rights and responsibilities, the environment, health and safety, personal finance and technology. Winners of the varsity competition will be invited to the National LifeSmarts Championship to be held in April.